Misaligned latches and strike plates. 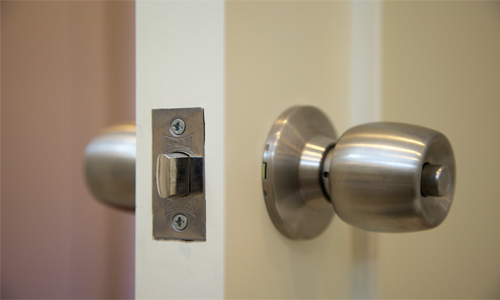 Locks or door knobs that get jammed and don't engage correctly. 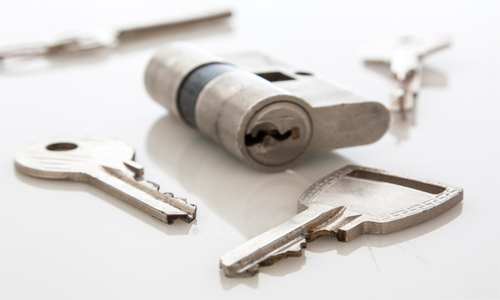 Faulty or worn out locks aren’t just annoying, they can pose a security threat to your home and even cause alignment issues with your exterior doors. Many homeowners put off dealing with issues with their locksets and door hardware, fearing that the entire lock will need to be replaced, but you may be able to repair your locks by simply replacing faulty or worn out parts. The lock cylinder (or key cylinder) is the body of the lock where you insert a key and adjust the lock pins before you engage or disengage the lock. When you unlock your front door, you turn the key inside of the lock cylinder. The cylinder contains a series of pins that are shifted into place with the key specific to that particular cylinder. When you hear that someone is having their locks “re-keyed” rather than replaced, it simply means they’ve had the pins in the cylinder reset rather than replacing the entire lock set. The latch is the bolt that extends into the door frame when the lock is engaged. Deadbolts and positive locking latches are popular choices for added security. Latches usually need to be replaced by a specialist, as they’re not typically available for individual purchase. Your door is easily forced open. It's "sticky" and difficult to engage or disengage. Strike plates are the metal plates in which the latch goes through when the lock is engaged. They’re screwed into the door frame and reinforce the lock by preventing the latch from being forced open. While they’re not typically sold separately from the full lock kits, you can contact a specialty lock store or door hardware business for help locating a specific strike plate for replacement. However, be careful when purchasing strike plates separately from the complete lock kit, as the size and shape of the strike kit must match the size and shape of the latch. Making sure your locks are fully functioning and secure is vital for protecting your home. While replacing an entire locking system may require a professional, you may be able to DIY some lock solutions, like replacing strike plates or rekeying your locks. To shop for new Trilennium Multi-Point Lock systems, parts and accessories, and Trilennium handsets, check them out at BetterDoor.com.